Magicard photo ID systems are the perfect combination of secure and innovative features to issue high-quality cards and badges on demand. 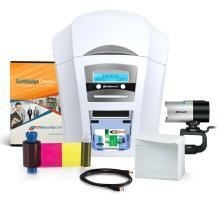 All Magicard ID card printers come with a unique anti-counterfeiting visual security feature called HoloKote�. Affordable and easy-to-use, Magicard photo ID systems are ideal to produce employee IDs, access control badges, government IDs, student IDs, membership cards, bank cards or event passes. Each Magicard photo ID system includes a single or dual sided ID card printer, ID card software, web camera, color ribbon, and PVC cards. All our Magicard photo ID systems come with our low price guarantee, toll-free customer support and free shipping right to your door. 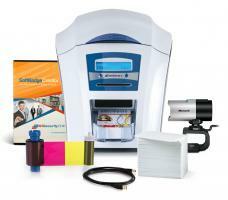 WHAT�S INCLUDED IN YOUR MAGICARD PHOTO ID SYSTEMS? 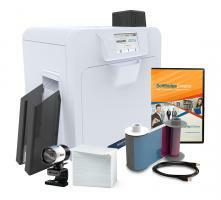 All our Magicard photo ID systems come with everything that you need to issue all your cards and badges on demand. 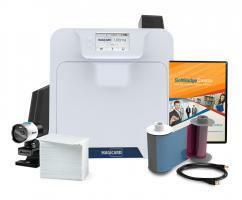 With our Magicard photo ID systems, you won�t have to worry about choosing the wrong ribbon or software for your applications. It even gets better since buying each item separately would cost more than our bundles. 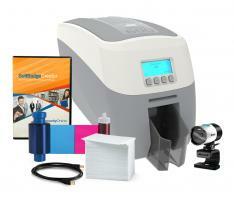 HOW DO I CHOOSE THE RIGHT MAGICARD PHOTO ID SYSTEM? 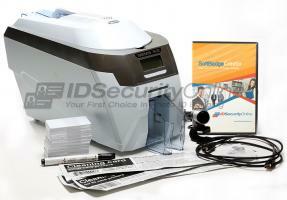 If you are planning to print on one side of a card, choose a Magicard photo ID system with a single-sided card printer. 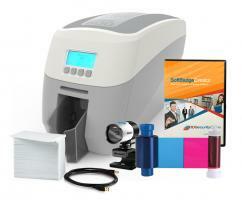 If you need to print on both sides, go for a Magicard photo ID system with a duplex card printer. 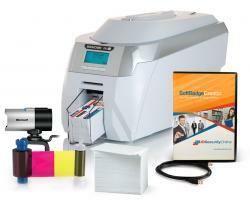 Duplex � or dual-sided � card printers will automatically flip your cards to print on both sides in one pass. This option allows you to include more information to your cards such as a schedule for student IDs or contact information for membership cards. 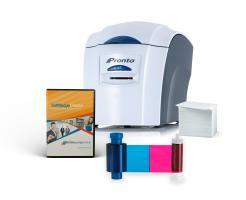 The Magicard Pronto single-sided photo ID system includes a single-feed printer, perfect for card issuance on the spot. For batch printing, choose the Enduro+ or Rio Pro as they both include a 100-card feeder and are built to print hundreds of cards a year. All Magicard ID card printers come with USB connection. Ethernet is optional on the Enduro+ but standard on the Rio Pro bundle. All our Magicard photo ID systems will allow you to print high-quality badges for all your applications. Here are a few examples of the most popular uses for ID cards.